Beads, Lace and Glam, Oh My! Bailey and Cody's day was nothing short of perfection. As of two weeks prior to the wedding, Bailey took over and now co-owns one of the most successful Bridal Shop in the Fox Valley, and she literally had the dress of every girls dreams! Bailey met the designer herself, and he added onto her dress 8 foot of pure tule! 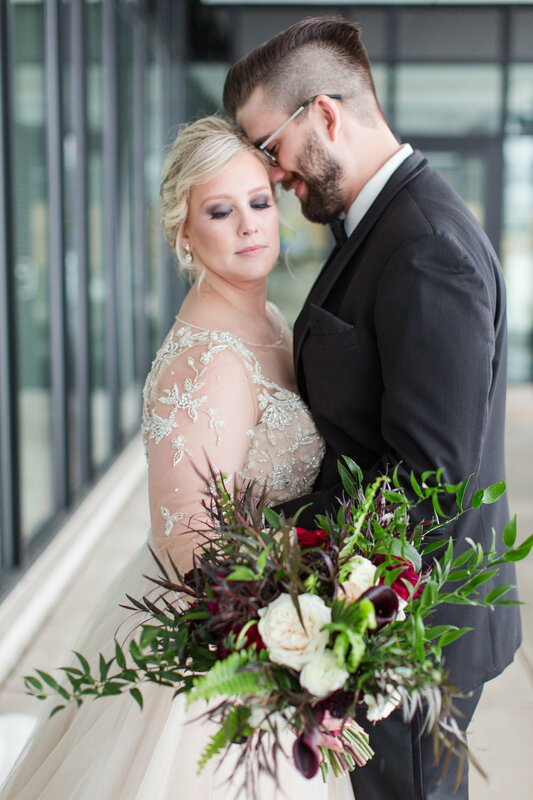 This champagne colored dress was ever so perfect matched with her black bridesmaid dresses. 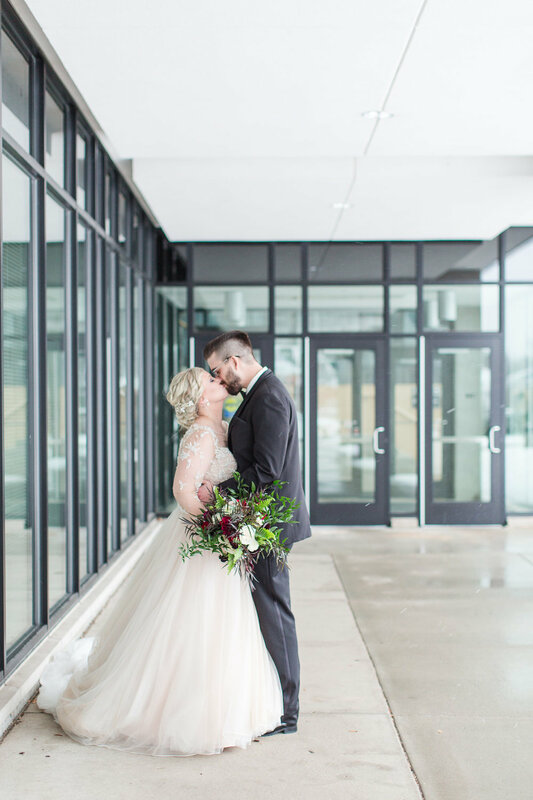 They both met at University of Stevens Point, so it was only fitting they got married in the Alumni Building and had their gorgeous intimate reception following, at Sentry World In Stevens Point. If you ask anyone, this was a beautiful December day to remember.